Oak Prairie is owned by Ron Hostetler and Brian Nunemaker. 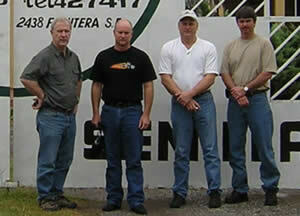 They are pictured below at a Pioneer plant in Argentina. Brian is the 2nd from left and Ron is the far right.